The Florida based yoga studio needed help with a website makeover. A custom design was applied to a Wordpress installation to create this beautiful, engaging and soothing website. The yoga schedule and events are retrieved using the Mindbody API created by the leading scheduling software provider for yoga studios. The website was developed alongside Tricycle Studios based in Florida. 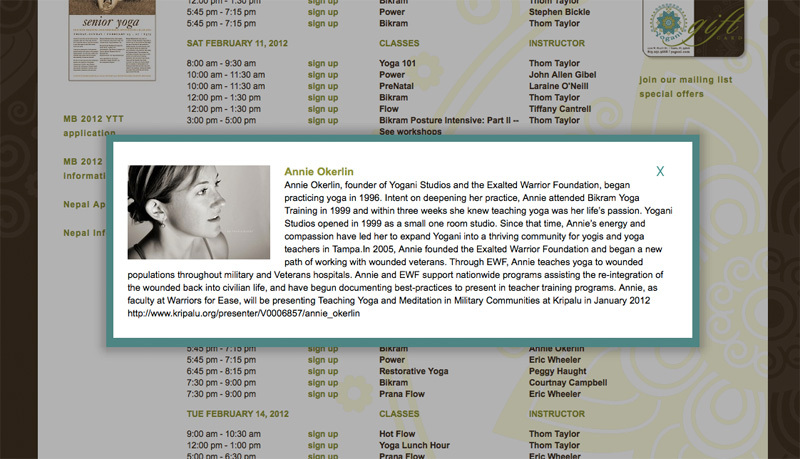 Yogani's real-time schedule is fed to the website using PHP and the Mindbody API. Teacher bios are also fed to the website using the Mindbody API.